Not always lined with silver, I'd say. So, I've been an amateur musician for 2 months now. What I hear from other people about me being a musician is usually their disbelief. 'What, you've learned the violin on your own for 4 months already? That's great, it's a tough instrument/ pfft, beach please, you're bull****ting me / What the hell are you trying to accomplish? What that taught me was one does not listen to what other people say if you're onto something. And don't let praises fool you - one day it might be your downfall. My mom, personally, did not want me to become a musician, though she learned the violin herself when she was young (her violin's still propped up at my uncle's house). My dad, on the other hand, fully supports my wish to the point that he'd bought me my first acoustic piano and violin, and supports me financially with the purchase of the newest electric violin. I suppose, I should be more grateful to him in the future, and just disregard the fact that he has dozens of missus outside the house. Looking back, when I first started music, it was to ease my unrequited love to a wonderful girl (who's also a guitarist). It was somewhat successful - what with I patiently taking piano lessons for the last 4 years. If I were to choose again, were she saying yes, I'd still take up music. 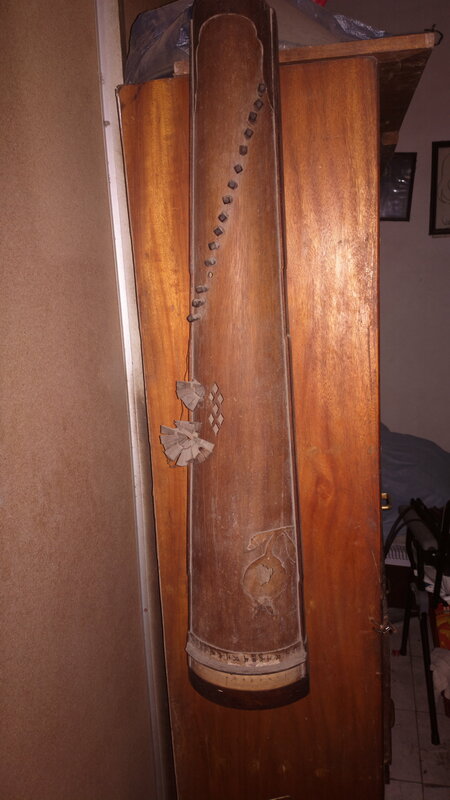 Now, there's a 16-string zither from the 1800s waiting for me at my grandma's house. As I write down these things, I ponder the possibility of me becoming successful in what I've learned and going to learn. Congratulations on being a quick learner. I like your post and your passion. You articulate a passion and respect for your parents and being a musician that is admirable. Keep on being you ... You are doing great. Thanks Fiddlerman and CPO... your encouragement keeps me going. Ok, Butterystuffs, I gotta ask. How can you have been playing piano for 4 yrs, violin for 4 months, and only have been an "amateur musician" for 2 months? Parents, friends, significant others.. Sometimes, if they aren't musicians themselves, they just don't know how to be supportive. It can probably look like a pretty foolish way to spend a lot of time and money, from the outside. My own parents weren't musicians. I was told from the start of my interest that "musical talent just doesn't run in our family". I was encouraged (nicely) to focus on pretty much anything else, something "realistic". It wasn't something they did to be mean or anything. It was the best advice they had to give on the topic, and they were still supportive (even of my musical efforts) in every way they could manage, I think. Friends, well.. If they don't play, they may just not know what to say. You spend hours doing something that they think is less cool/interesting than whatever they do during those hours. How else are they going to react? But I don't think that why we start doing music is as important as why we stick with it. @ButteryStuffs I do want to play Dulcimer someday. I find it very enchanting. That zither is very cool ... I hope it gets repaired for you. Good luck! You are a musician from the day you first begin. We are all born to be musicians, artist, scientists, writers, composers, etc. It is the human condition of life. Some musicians have never thought of playing an instrument and show no interest in music. Some scientists never read a science book and have no interest ins science. These titles "musician", "writer",. "artists" are integral parts of human nature and are born into us at birth. How long have we been musicians ? Since the day we were born. Einstein was known for science and he was a scientist. But he was just as much as musician as Itzak Perlman. And Itzak Perlman is just as much a scientist as was Einstein. All these things are part of the condition of being human. They are intrinsic to all of us from birth. The only difference is what we chose to focus on or what actions we chose to take in life. I find the dulcimer a very beautiful sounding instrument, especially with a small string ensemble accompanying it. When I was with Chandler Symphony, I was sitting backstage listening to what I just described. It was so beautiful, it brought tears to my eyes. I never had music do that before.